Teaching the Old Testament is important. Without it, we miss (at least) half the story. 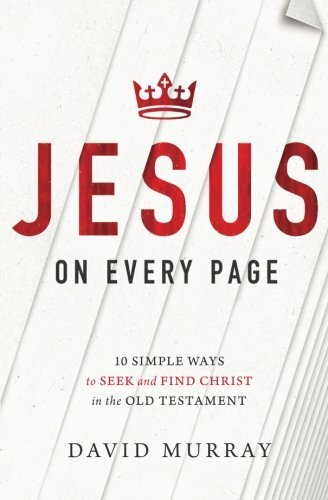 Here is the rest of my interview with David Murray, author of Jesus on Every Page. Pat: How does teaching/preaching the Old Testament to children differ from teaching/preaching it to adults? David: When teaching children, our focus is usually on the stories, the Old Testament narratives. It’s harder for kids to appreciate the prophets. However, the psalms help kids form devotional habits and the Proverbs also give lots of practical advice, especially for teens. Pat: How do you teach the Old Testament to your children? David: We read through the Old Testament in our morning family worship and the New Testament in the evening. We usually spend about five minutes or so asking our children questions or answering their questions. We encourage our children to read through the Old Testament books in their own private reading. Pat: How is the church currently teaching the Old Testament well and how is it doing it poorly? David: Although the Old Testament had fallen out of favor with the church for many years, I see a bit of a revival in interest in it, especially in preaching and teaching it in a Christ-centered way. The gospel-centered movement and the surge of interest in biblical theology has also produced a revival of interest in the Old Testament. The one area I’d like to see more growth in is in seeing Christ in the Old Testament. Not just seeing the Old Testament as pointing to him, but actually revealing him as present in the Old Testament. Pat: What advice would give to both parent and children's ministry leaders/workers when teaching the Old Testament to children? David: The most important advice I’d give is to teach the children that the Old Testament believers were saved exactly the same way we are – by grace through faith in Christ. The only two differences being that they looked forward in faith to Christ’s person and work and we look back, and they saw less clearly than we do. But Hebrews 11 teaches us to view them as Christian brothers and sisters. The second piece of advice is to use a simple Old Testament timeline so that the kids can build up an overall view of the course of Biblical history. I'm thankful for David Murray for a lot of reasons. For him taking the time to grant this interview, for his writing; both books and his blog, and his pastor's heart. Get a copy of the book, and get into the Old Testament.